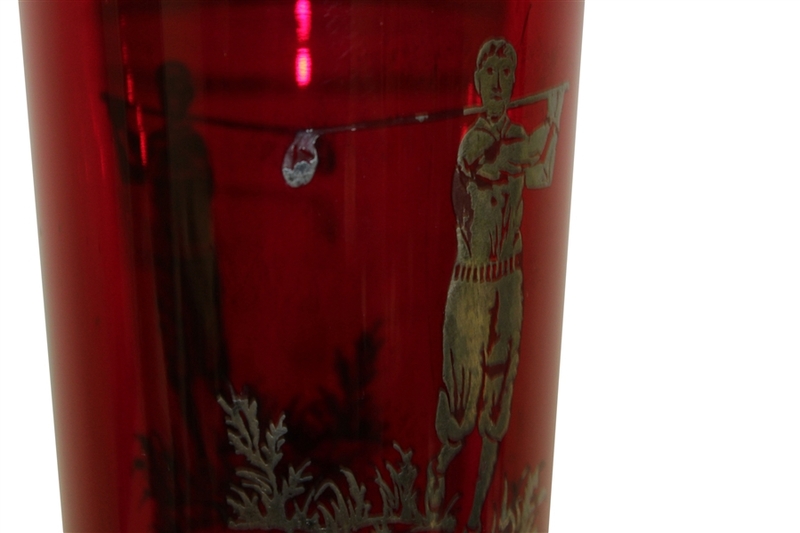 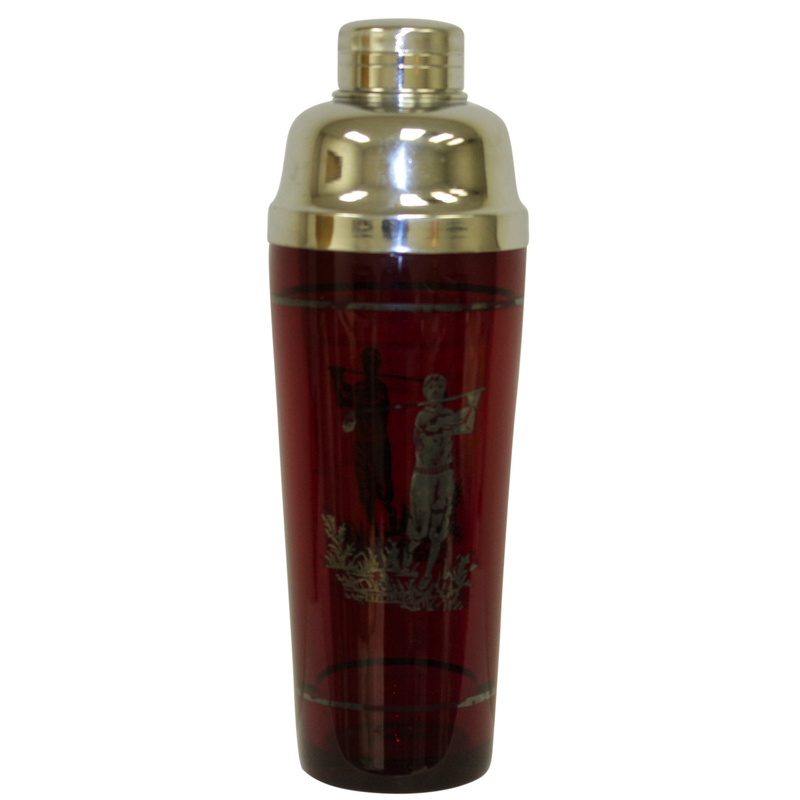 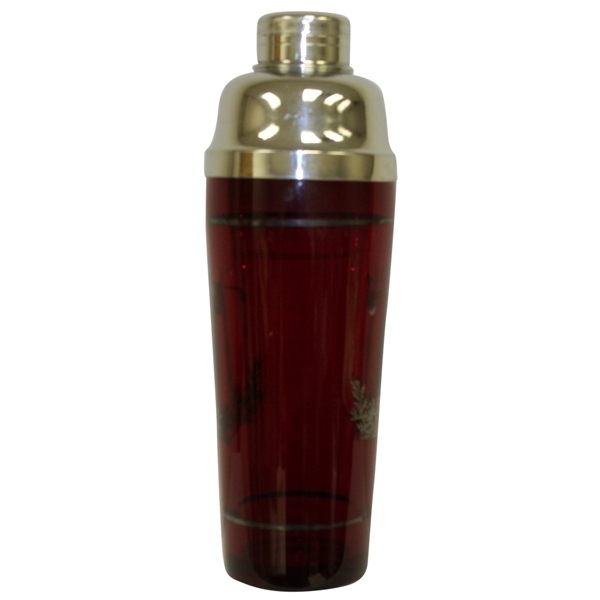 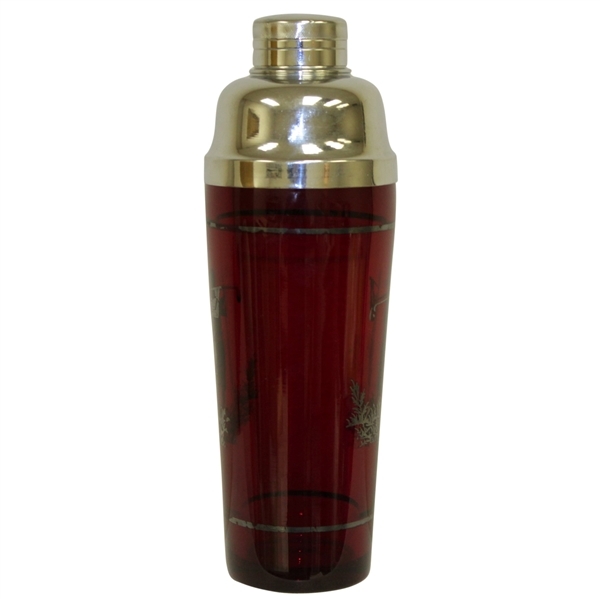 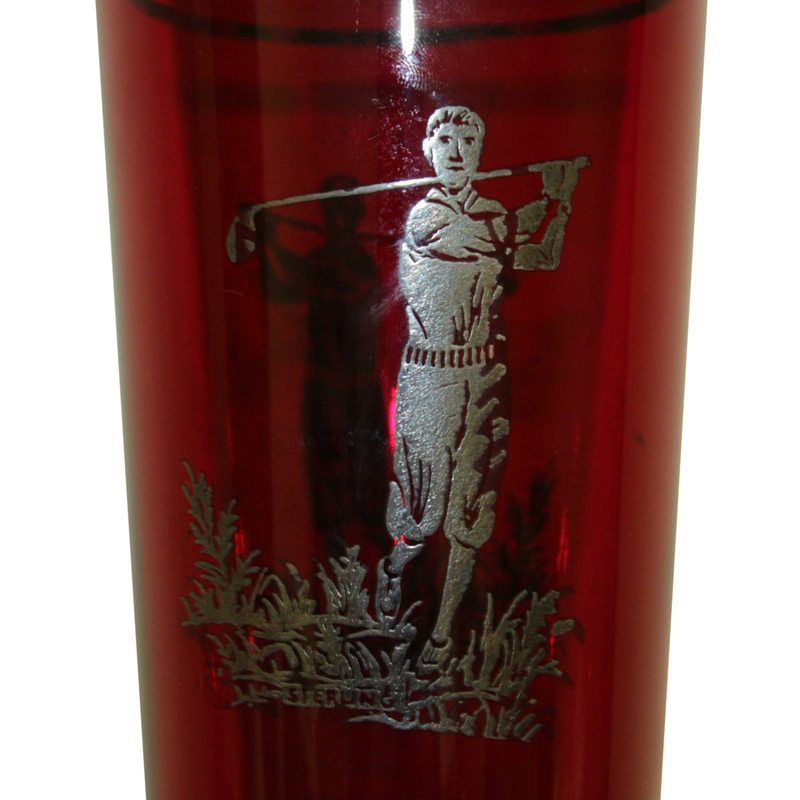 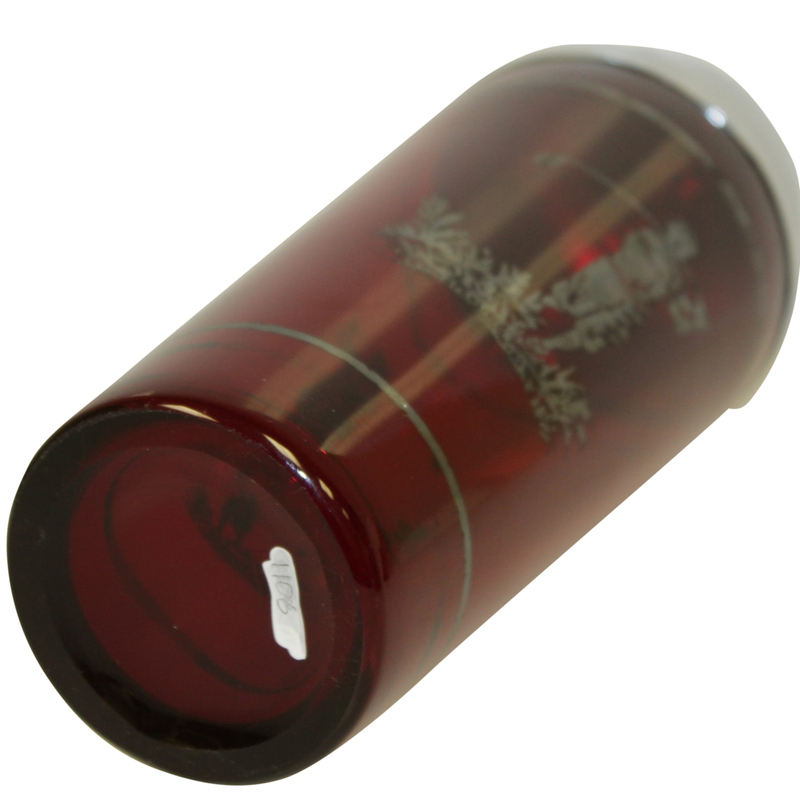 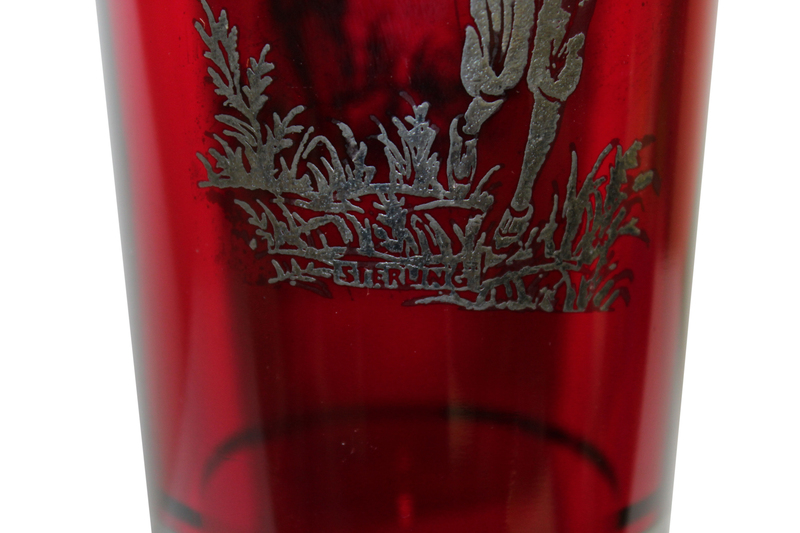 The glass body of the shaker has a frosted depiction of the turn of the century golfer. 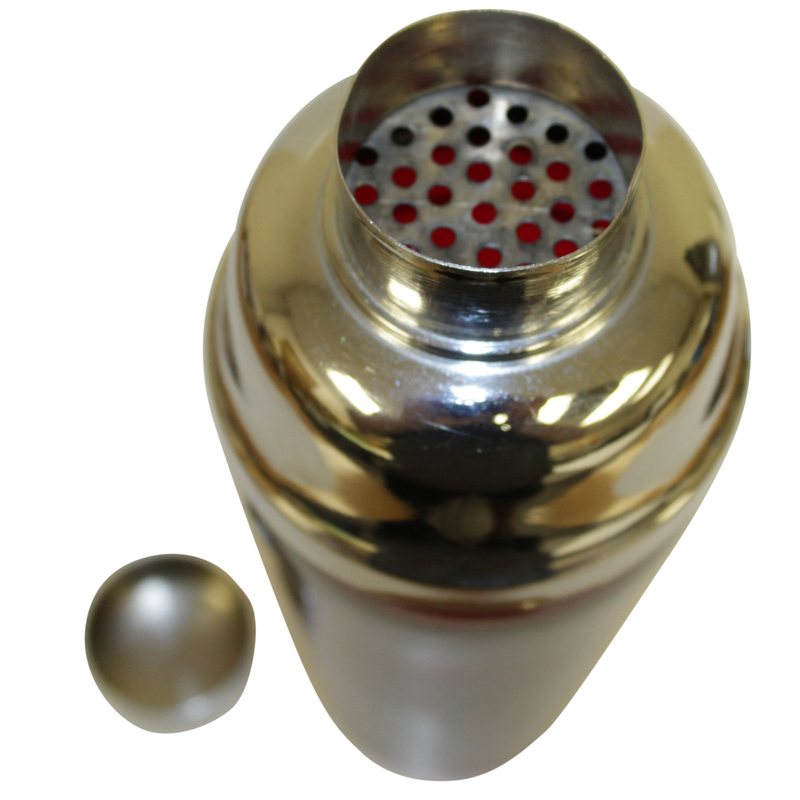 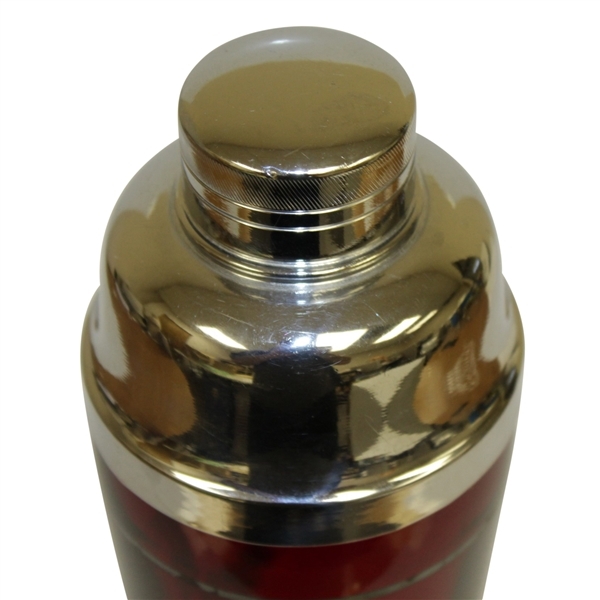 The top of the shaker is made from sterling silver. 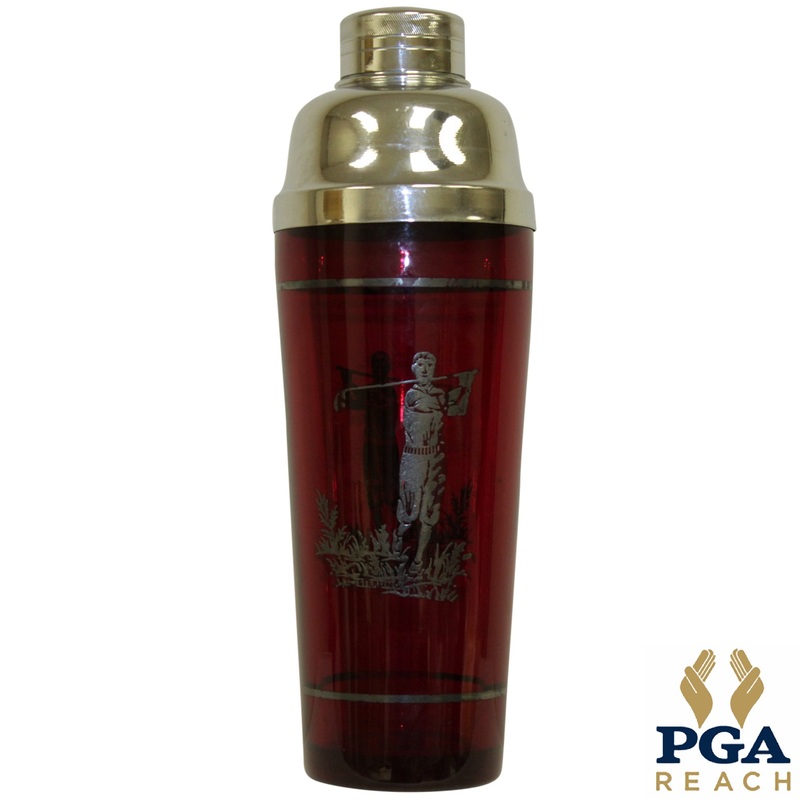 This finely crafted antique piece is in excellent condition and will add nicely to any collection. Stands 12" tall and is in very good condition with slight wear. 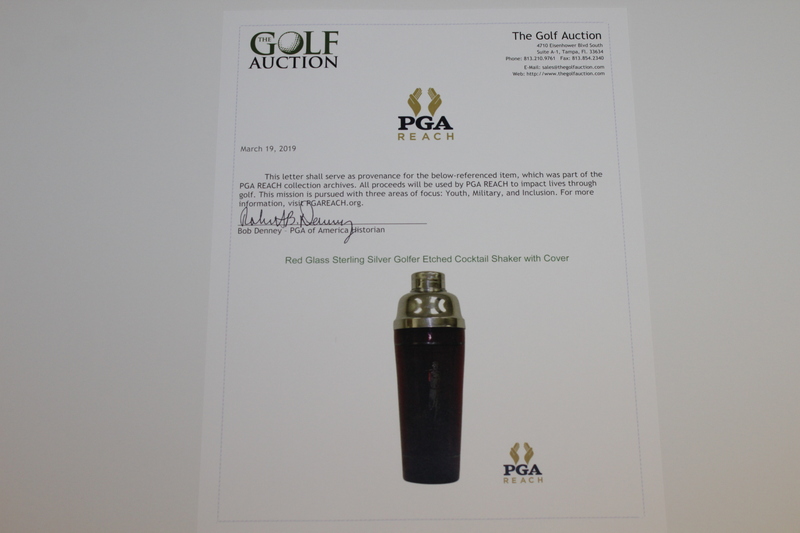 From the collection of PGA Reach, with their certificate of authenticity accompanying this lot.